3 big compartments, multiple pockets, and an external skate holder. 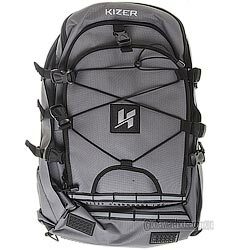 The Kizer BIG FSP Backpack is legendary for being the largest skate backpack in the industry. This is the ideal bag for all you weekend warriors, or for anyone that needs a bigger bag to carry all of their gear around. It's tough and durable, and made from quality materials that can withstand your daily abuse.